Ok, so after being the official vendor of the Hero in Hong Kong, the Android platoform's former flagship handset is now proposing to hand you HK$4280 if you bring them your Nexus One and sign a monthly contract of HK$398 for two years. That's HK$410 with the fee. 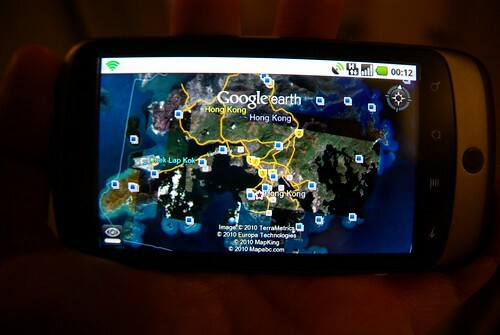 If you bring a phone to them, you sign a 18-month contract and would pay for HK$250 (238+12) a month. If you do the maths, say if we extend this contract to 24 months, you would pay $6000 (250*24) at the end of it. With the other plan, it's HK$9840 (410*24), minus the rebate it's HK$5560. So the longer contract by six months, and the special plan for Nexus Ones, will save you some 440 over two years, or about HK$19 a month. This is a talk by Tim Berners-Lee. The project in my previous entry is merely an example of what Berners-Lee is advocating for. 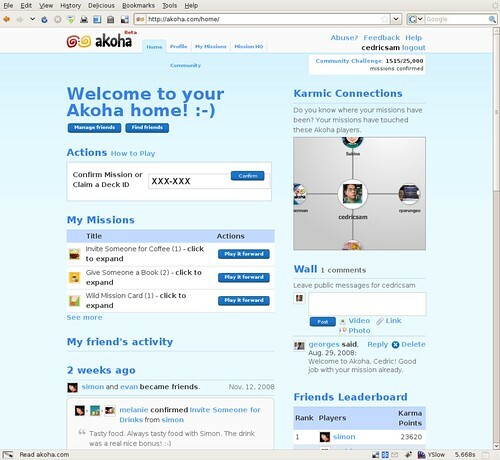 On the very very lucky August 28th of 2008, I was invited to a pre-launch of Akoha, a project started out in Montreal which buzz I've felt in the past year or two, and which has equally left me wondering as to what it ate in the winter (mais oui, qu'est-ce que ça mange en hiver??). 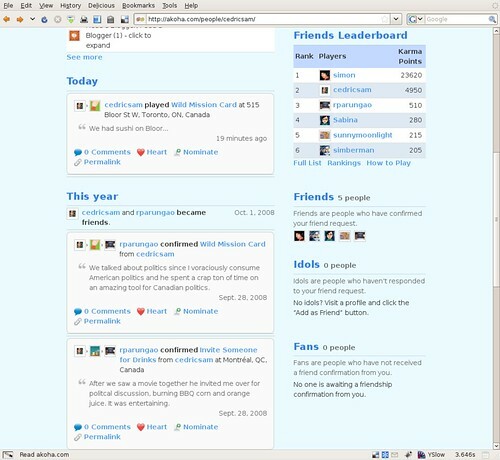 Simon Law, a former Canonical (makers of Ubuntu Linux) employee, is one of the people working on Akoha. When prompted about Akoha, he wouldn't say more than a word about it, except that all his talk about karma and good deeds finally made sense at the pre-launch (how are you supposed to hide something you worked on, believed in, for more than a year?). We were not supposed to talk about Akoha in the next month following it, as the confidentiality agreement stated. So it's been more than three months, and I almost forgot about Akoha altogether. 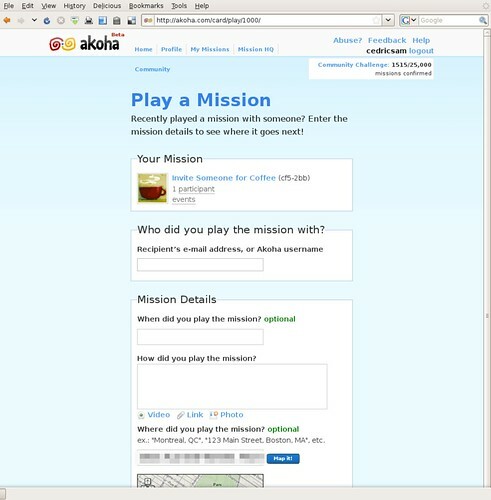 It turns out that Akoha is indeed a new kind of game, in which you start with a stack of paper-real "mission cards" of good deeds of all kinds, such as buying someone coffee, or giving someone a compact fluorescent light bulb. These help you accumulate "karma points" and allow to advance in the v3ry g33ky social ladder of levels (yes, as in Level 99 levels...). 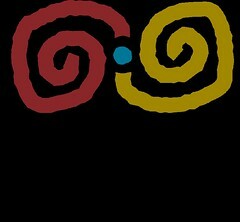 However, the cool part is the potential in social information. 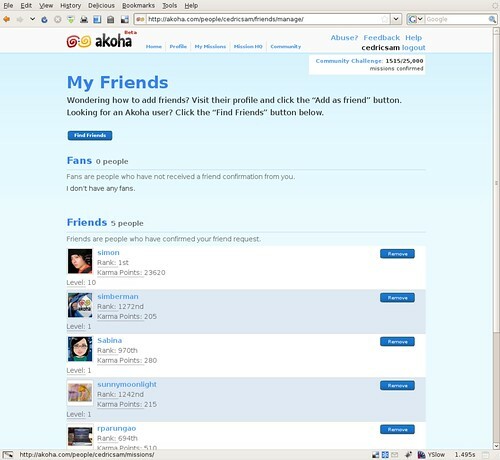 Whereas Facebook, perhaps today's most successful social network, is backed by the ground-breaking idea of mapping real-life social relationships into the digital world, with the concepts of photo-tagging one's friends, as well as the consensus of using real names, the first great potential that I saw in Akoha was a real way of measuring (if not quantifying) bonds between human beings. Also, cards that you give to the receiver of a good deed are to be redistributed by the latter. As you have guessed, this is almost like the experimental process at work to prove (or disprove) karma. Of course, you can't help playing the Devil's advocate by saying : are people going to start giving cards out in exchange of accomplishing "social missions"? Where is the dough to make this a viable successful business? For sure, I am curious to see what's next for Akoha (still in beta testing, not planning a wide release until much later next year), how they are going to harness the new trends of the web, which is giving a lot more importance to mobile devices, and how the cards that I've disseminated around the globe will go from one user to the other (if only the receivers of these cards would *use* them). Btw, who wants a card / account? Comment dire « c'est fini » ? 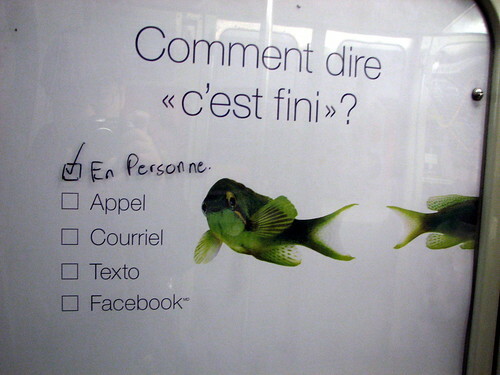 Ben, en personne, voyons donc. 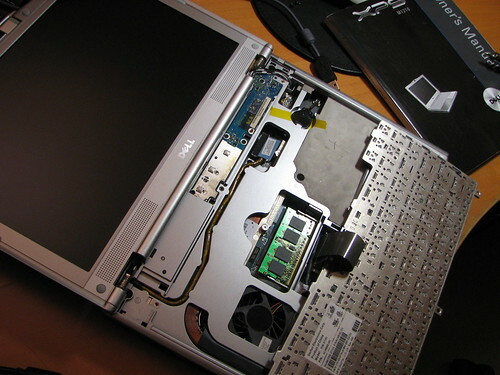 For the XPS m1210, you will be looking for PC2-5300 667MHz DDR2 200-pin SO-DIMM RAM. The cheapest RAM today (July 2007) costs around 120CAD for 2 x 1Gb. If you don't want to void your warranty, then the kind that Dell sells (actually from Kingston - even if the RAM that originally came with my notebook was from Korean manufacturer Hynix) is 90CAD for each slab of 1Gb. Prices don't include shipping, nor taxes, but your local computer store should have this item and save you the former. A couple of weeks late... But Street View is really something. 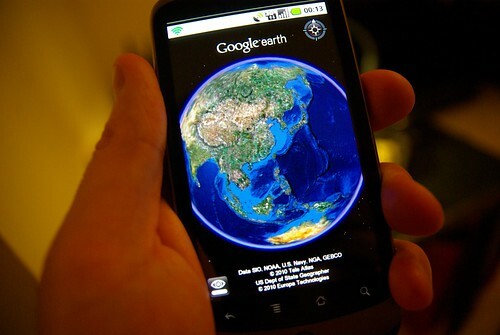 Just a few years ago, we were dazzled by satellite images available on one's favourite online maps site. Now, Street View just takes it to another level, literally. t3h g33kn3$$ is the previous category. Trip Planning (2006) is the next category.